Big Ag is running a massive misinformation campaign here in California to persuade people to vote against labeling genetically modified crops. (Michele Simon has been following it diligently.) 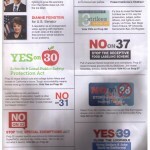 Yesterday, the campaign’s endgame fluttered through Berkeley residents’ mail boxes. 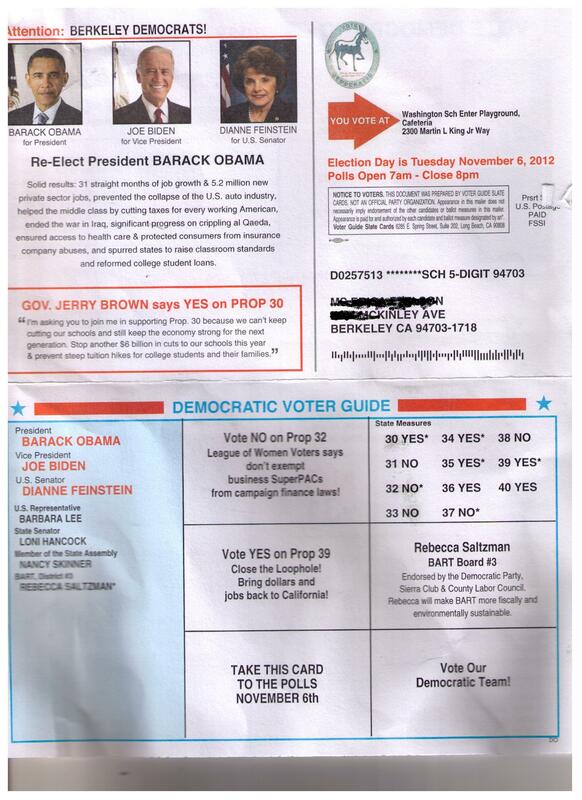 It’s a strange voter guide that looks sufficiently like the California Democratic Party’s actual endorsements to be plausible, but with two changes. First, there’s no endorsement of proposition 33 in which the Mercury Car Insurance billionaire proposes to change the law so that he can charge more money to new customers. 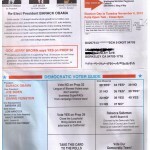 It is opposed by the sane, the reasonable, and the California Democratic Party, and there is no mention of it on this mailer, which encourages you to take the handy sheet into the polling booth with you. 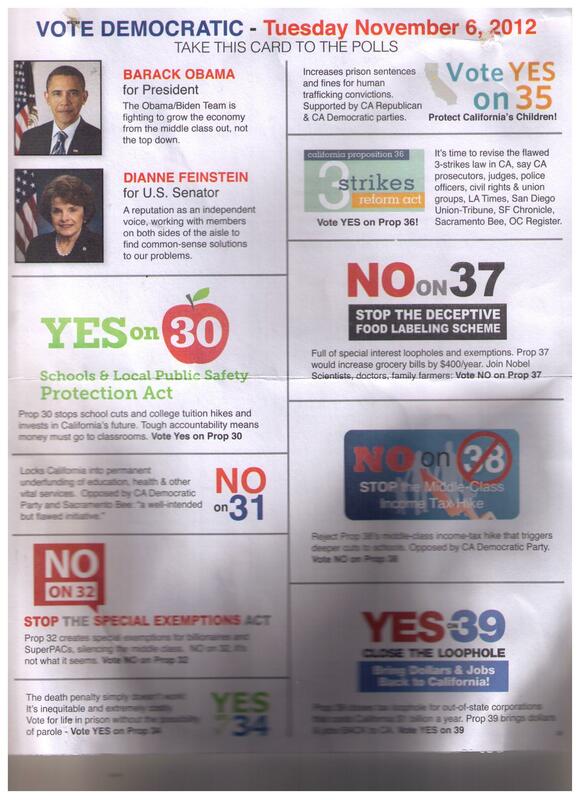 And if you do, you’ll find advice that also contradicts the California Democratic Party’s position on Prop 37 – the Democrats say Yes on 37, the democratic voter’s guide says No. Quite where the mailer came from is a mystery. But with elections being bought by the highest bidder, with California’s largest money laundering case apparently involving the Koch Brothers, it’s not hard to see a pattern behind in the misinformation superstorm. Thanks, Christopher Cook, for sharing this. And, obviously, if you can vote yes on Prop 37, please do. Full recommendations from the SF Bay Guardian, which don’t reflect my own choices for President or Senate, here. A new UK Government consultation aims for more GM and cloning. 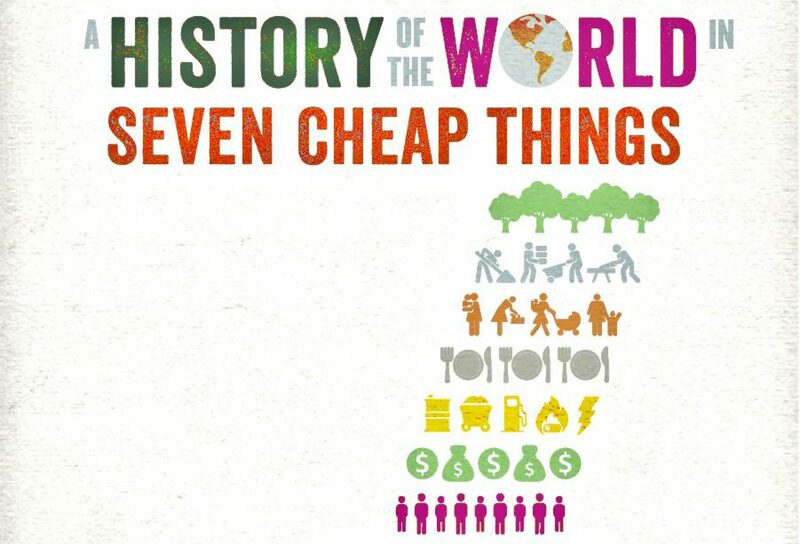 Help us change the story.” Consultation deadline 22 November 2012. Something also feels very wrong about the EU’s Horizon 2020 “Vision”. There is a current consultation with a 14th December 2012 deadline. Corporate Europe Observatory are trying to monitor the EFSA who are meeting today and tomorrow.